Amrith Bdr Subba's Diary|: Where are our Stars? When the first ever Bhutan Star context was initiated by Mr. Ngedup Dorji in 2008, it drew attention from the entire nation. Thousands of people watched the show from their homes and voted for their best candidates. The show became so popular that on Saturdays and Sundays, people remained at home and stayed glued to their television screen enjoying the performances of their favourite contestants. Ms. Sonam Yangden became the first Bhutan Star 2008, the title which she had earned with her talents and immense hard-work. From 2010, after a year’s gap, Mr. Kencho Wangdi initiated a new show called ‘Druk Star’. Like Bhutan Star, it also brought together a number of highly talented aspiring Bhutanese singers from around the country and gave them the opportunity to showcase their talents. Ms. Jampel Yangzom won the first Druk Star title in 2010. 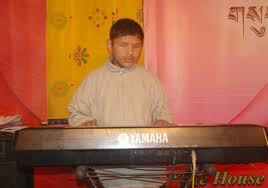 In 2011, a popular Bhutanese comedian, Ulap Leki took the title of Druk Super Star due to his extraordinary singing talents. Likewise, we have seen a number of other Stars including young children recognized by the public through such reality shows every year. While such reality shows have provided an ideal platform for aspiring Bhutanese singers to showcase their hidden talents and build self-confidence, it’s very sad that when the show gets over, the stars also go off-screen along with the shows. I feel the talents we have discovered in our former stars are getting wasted again. If they are to disappear after winning such prestigious titles, it’s not worth the degree of support they receive from the public and organizers. I am just wondering why are our music and film industries are not capitalizing on those talented stars whose capabilities we have already seen. I strongly feel that these highly talented individuals must be given enough opportunities to use their talents and prove themselves worth the titles they bear. We have got equally talented stars but today, they all seem to be behind the curtains. We don’t know what Sonam Yangden is doing. We haven’t heard even a single song recorded by her after winning the Bhutan Star title in 2008. The first Druk Star Ms. Jampel Yangzom seems to be quite active but she should be more active. We have heard a few recordings of her after winning the title but I feel she should be getting more opportunities. Other stars like Tshering Dorji (Bhutan Talent Hunt), Ulap Leki (Druk Super Star), Dorji (Little Star), Karma Tashi (Druk Star 2013) and others are nowhere to be seen now. Tshering Dorji from Bhutan Talent Hunt organized by Mila Tobgay was so popular among the public during the time of the show. Everybody liked him and became his fan but where is he now? Why he is not getting opportunities to come to the public limelight now? He had all the talents that could fetch him greater name and fame. 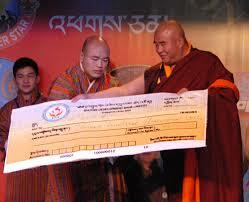 This year too, Mr. Kencho Wangdi is organizing the 4th episode of his Druk Star contest. I can already see a number of highly talented youngsters among the contestants. 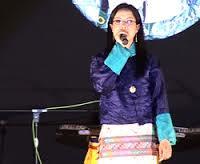 Ms. Kinzang Choden is becoming my favourite but I am yet to see how she can maintain her talents. But no matter who wins the title at the end, if they are to be left as they were before even after giving them the title, then I don’t think such shows are worth our expectations. The stars should not also remain quiet just waiting for the opportunities to come to them. They should always look for avenues to stage their talents and capabilities because it’s mainly for this purpose that the public has invested in them. More than that, I strongly feel that our music industry must take advantage of their natural talents and passion for singing. I hope someday they will all shine and make us feel proud of them. A very thoughtful post, Amrith sir. I too have been wondering about the same for a long time. Where do they disappear after they win those competitions? Is it due to the lack of opportunities? May be. Did they participate in the competition just as a one-time thing, for prize money? Could be. But they really should be entertaining the public after they showed so much support to them. Like you said, few of them can be seen doing some songs here and there. A handful of them is nowhere to be seen. Sonam Yangden? I don't think anyone heard her singing after that competition. Keep writing. More than about other stars, I am wondering about Sonam Yangden. I haven't seen her around let alone listening her single song after having bagged the prize. U r right, Sherab ji.... It's very sad. I appreciate your concern and thanks for the comment. Hi Mr. Langa, thanks for your comment. U r absolutely correct. It is sad that most of our stars are disappearing after the shows. As u have said, they must be given opportunities to pursue their professional career as singers and continue to entertain the public who have given them the prestigious titles. Haha, I don't want to come and go. Anyway, many thanks for your comment. Do come back again. She was on air (radio) once and i heard that she is a civil servant afterall!